What does Linguistic Intelligence sound like? 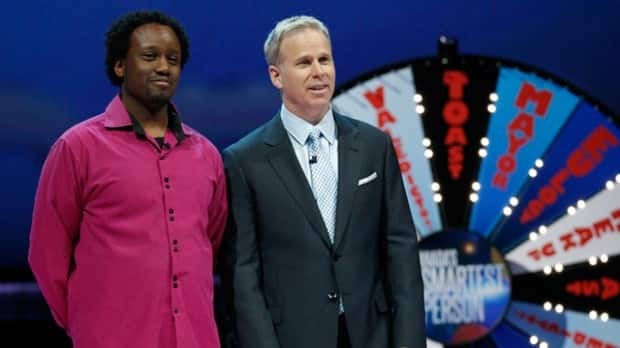 It sounds like Greg Frankson, award-winning spoken-word artist, youth advocate and 2012 Canada’s Smartest Person finalist. Under the name ‘Ritallin,’ Greg has released two poetry collections, four spoken word recordings and he’s been published in three poetry anthologies. Q: What have you been up to since the show in 2012? A: Since the show I’ve been organizing poetry events in the Toronto area, providing emcee, poet-in-residence and motivational speaking services across Canada, and sharing A Weekly Dose of Ritallin on CBC Radio One. I’ve also been working with young people in schools and community as an arts educator. There are a bunch of projects I have on the go that look to be very promising, and I continue to mentor new and emerging poets. I am also hoping to publish a third collection of poems in the near future. A: My experience with CSP was terrific! The other three participants - Peter, Laura and Marshall - are some of the best people I’ve ever met, and I learned so much about television, the stress of performing and self-belief. It’s been one of the best challenges I’ve ever chosen to take on! Q: Which of the multiple-intelligences comes to you the easiest? A: I’m a poet so the intelligences that deal with words are my strength. Linguistic and social intelligence are both highly dependent on verbal communication, which are the bread and butter of any spoken word artist. Q: Which of the multiple-intelligences do you struggle with? A: My weakest of the six intelligences is logic. Though I’m competent in the world of numbers I’m by no means a master at math, and this was the part of the challenge in which I was least successful. Q: What’s the most un-intelligent thing you’ve ever done? A: The most unintelligent thing I’ve ever done was spend so much time working as a bureaucrat in Ottawa when I clearly should have been writing and sharing poems! I learned so very much from my time in government but my true passion is working with others and sharing my words (either in poetic or commentary form). I feel like I languished in government for years and wasn’t using my talents to the best of my abilities. I’m much happier now and feel like I’m contributing quite a bit to making society better in my own small way. Q: What did you get out of being on CSP? A: Out of CSP I gained new friends and a new appreciation for what I can achieve. Being in front of the audience on that massive stage helped me focus my mind on the world of the possible. I realised what I felt was possible before the show was so much narrower than what CSP inspired me to believe. My confidence and my passion for what I do was greatly enhanced by my experience on the show. Q: Was CSP a memorable experience for you? A: The show was a hugely memorable time! Having the chance to interact with people like Gerry Dee, Arlene Dickinson and Sean Cullen was huge. My time on the show is one of my best memories! Q: Who should apply for CSP 2014? A: Any person who believes they are the full package should apply to be on Canada’s Smartest Person. If you’re good with people, words, numbers and puzzles, have a decent memory and the gift of gab, you’re going to do well in this process. Go for it! Honestly, it was a blast and if you think you have what it takes, view this as an adventure and sign up for the challenge! Q: Any advice for this years applicants? A: My only advice to this year’s applicants would be to give it your all and try your best. Also, I think you’ll get the most out of the CSP experience by keeping your mind and your heart light, accepting things as they come, remaining flexible and most of all approaching the experience with a healthy dose of joie-de-vivre! Q: Is there any training people should do between now and the show? A: I think training yourself for the show is probably not going to be helpful. Feel free to watch the 2012 show to get some idea of what to expect. But beyond that, it’s a whole new experience with a different set of people. Stay openminded and be ready for anything! Greg’s latest recording is a spoken word / music project called Poet Psychology Vol. III. Visit Cytopoetics for more information. And tune in to Here and Now, Thursday’s on CBC Radio One.